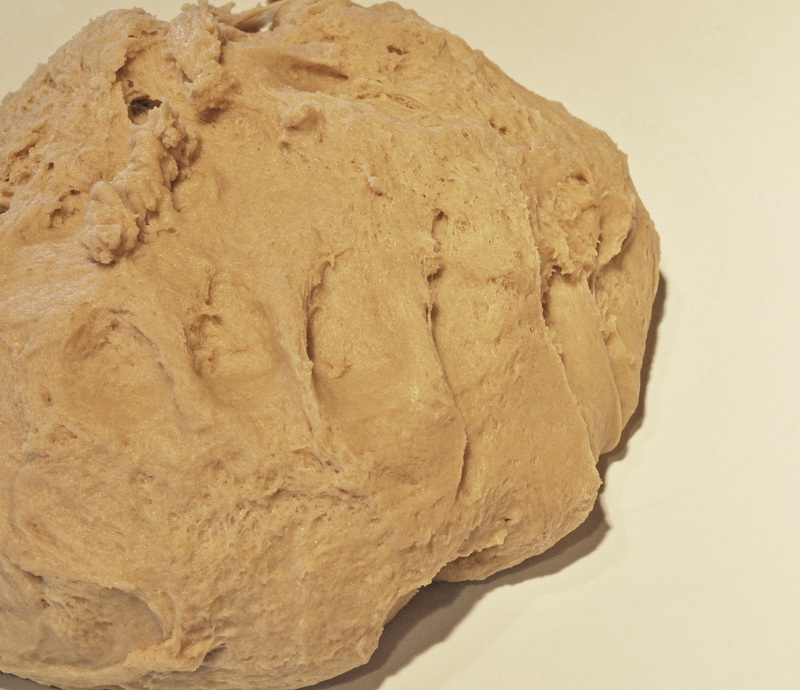 I have always wanted to do a tutorial of how to make bread. It is my most favorite food to eat and as much I enjoy the munching, I enjoy making it just as much. 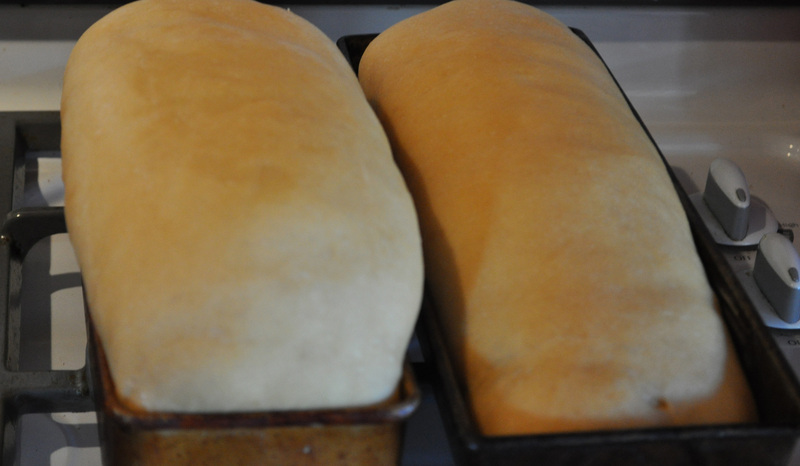 My mother taught me to make bread when I was ten years old. 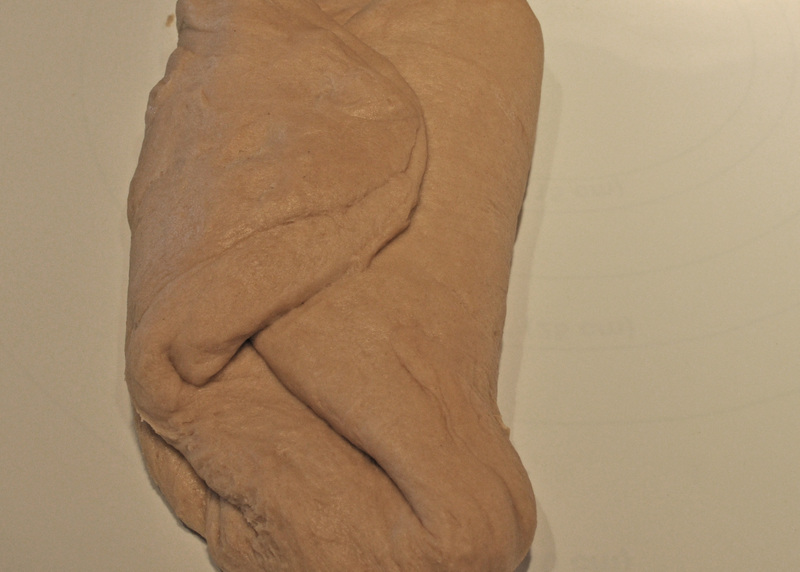 I loved the physical challenge of kneading the dough and the satisfaction of the final product. I was hooked and knew I was a country girl deep down in my soul from that moment on. To many people yeast is a beast to be feared. Not so my friend. Yeast is your friend and necessary in the construction of bread. I make my bread with whole grain. We must learn to eat healthy in this land and my family is living proof that this goal is an accomplishable. My kids seek out health foods. 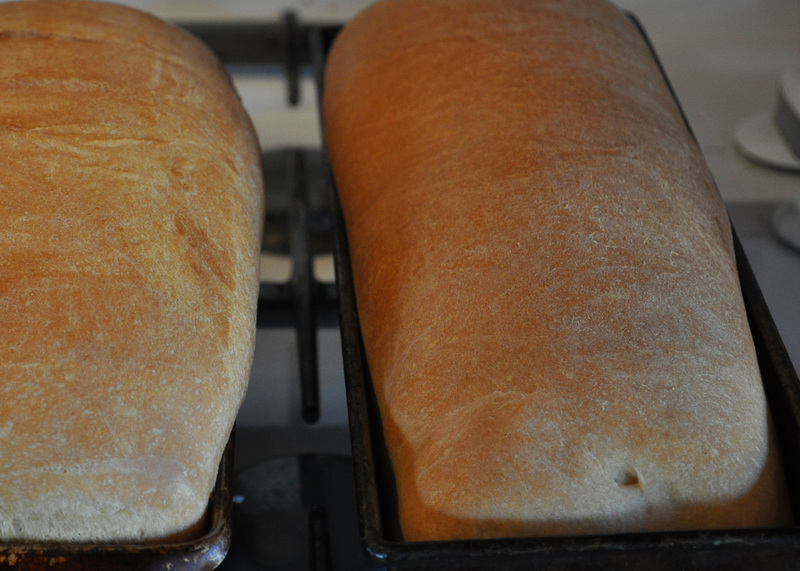 I use a white whole wheat flour that gives the bread a smooth texture instead of the rough, grainy feel of regular whole wheat. Whatever your choice, have fun. The recipe I am using is a Challah recipe I found in a kosher cook book years ago and have adapted to my particular style of baking. 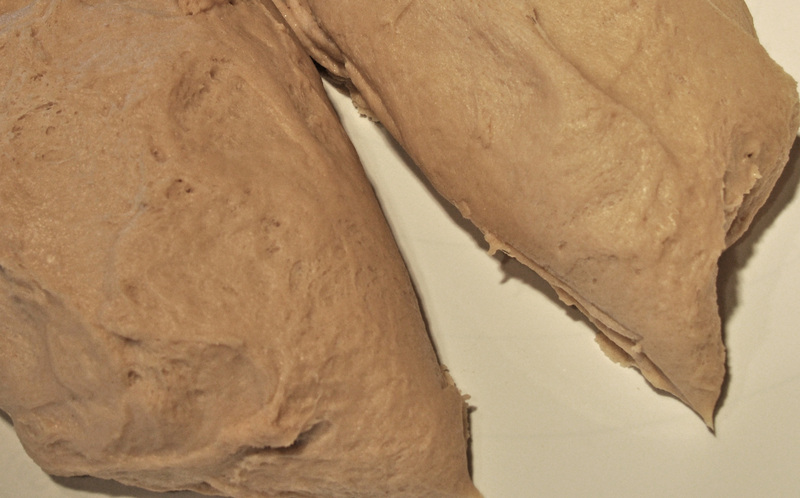 It is easy and delivers a moist, flavorful loaf of bread. Place 1 1/2 cups hot tap water into a bowl (use my Kitchen Aid mixer so I put it directly into the bowl). 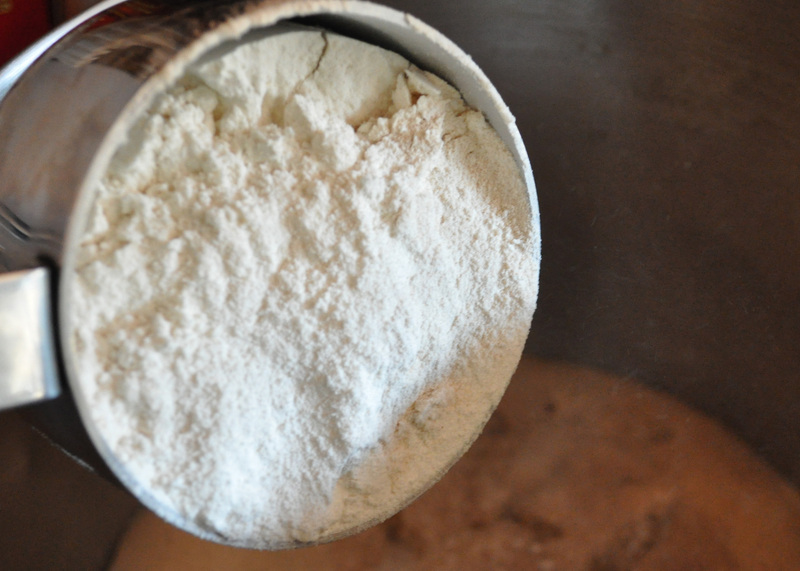 Add 1 1/2 tablespoons yeast to the water and stir into water. Add 1/2 cup of honey to the yeast. 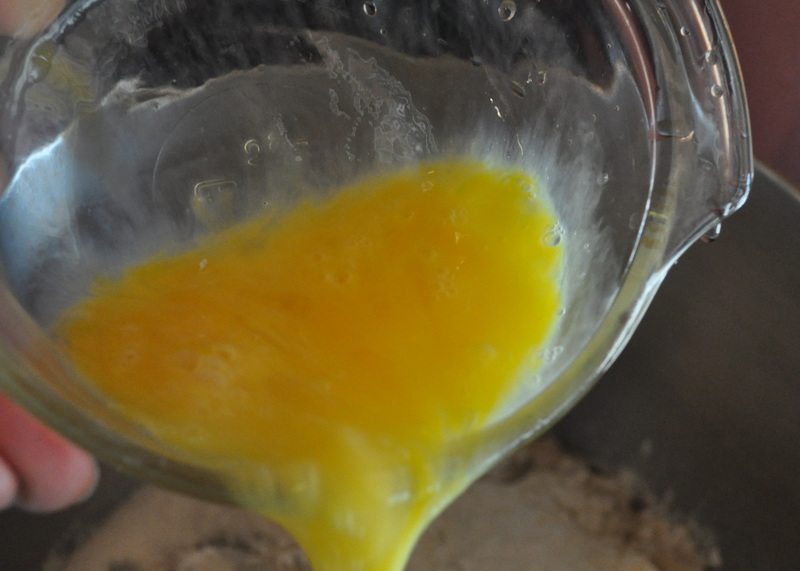 Mix the honey into the yeast mixture and let it sit for a few minutes until the yeast begins to froth. 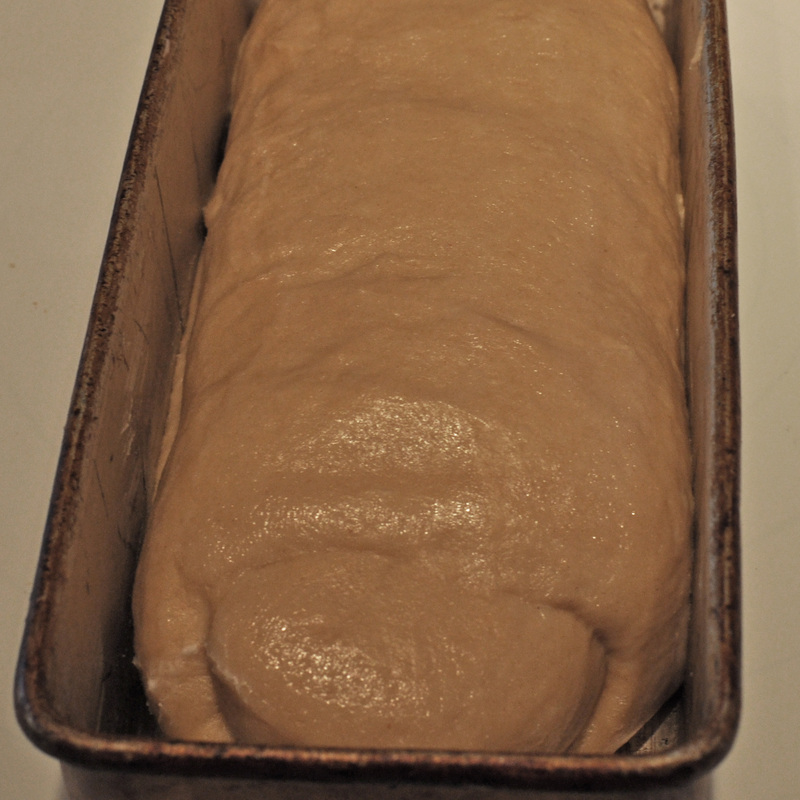 This activates the yeast so it is ready to work when the flour is added. Now add to the mixture 1/2cup of canola oil. And then add a 1 tablespoon of kosher salt. Next you need three eggs. 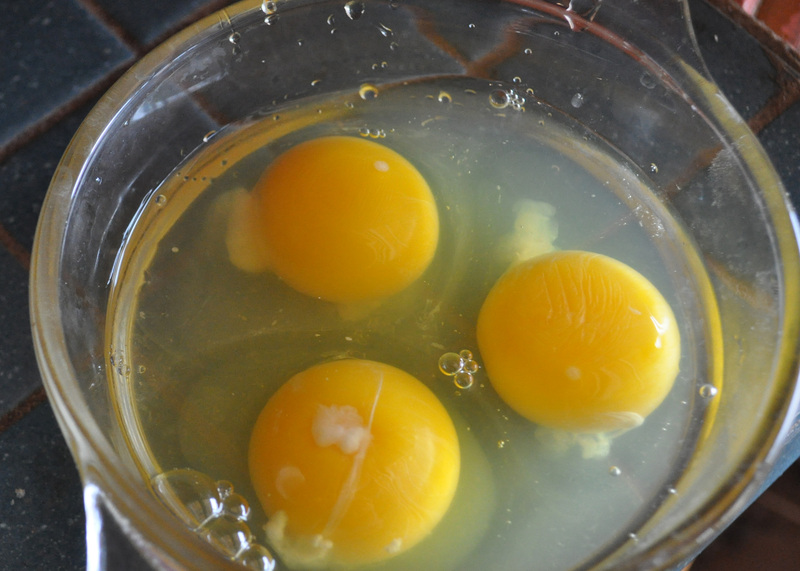 Break these into a bowl, the first egg I opened was a bloody egg! This was NOT one of my home grown eggs, but one from the store. In thirty years I have never had a bloody egg. Now we add 61/2 cups of flour. 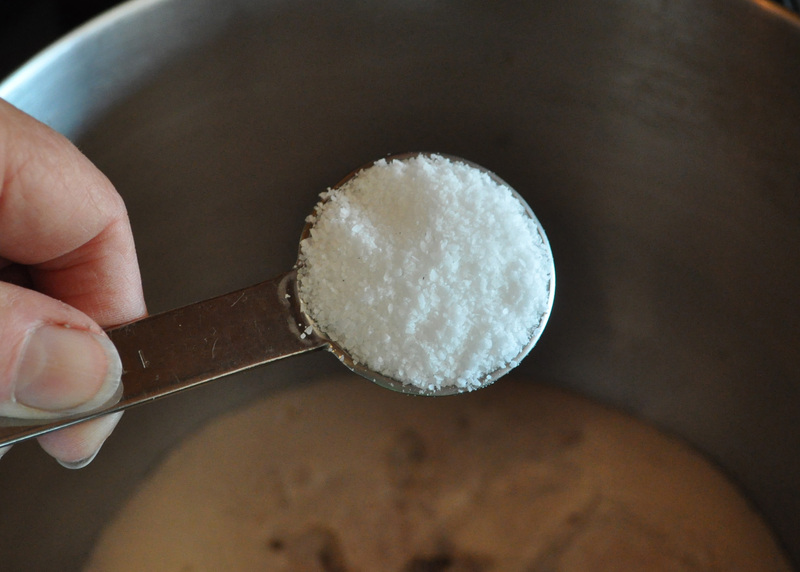 I mix four cups in by hand and add the rest with the mixer. 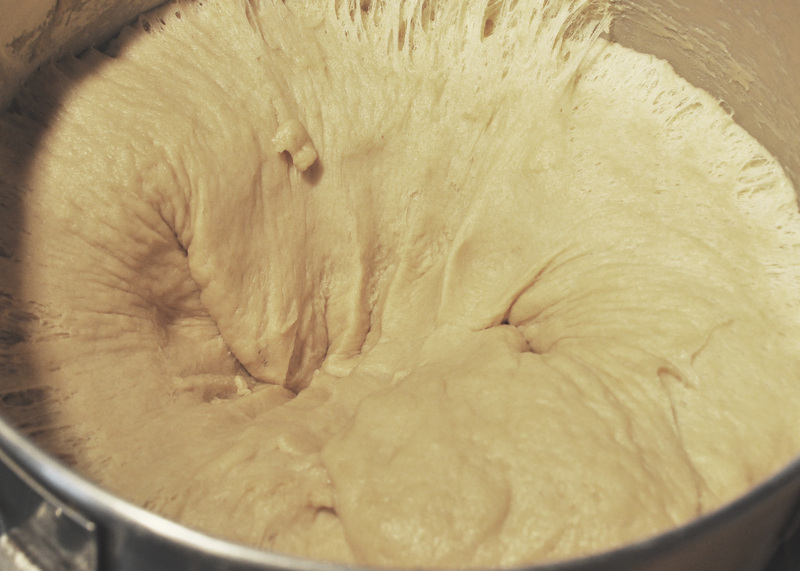 The dough should be tacky to the touch. 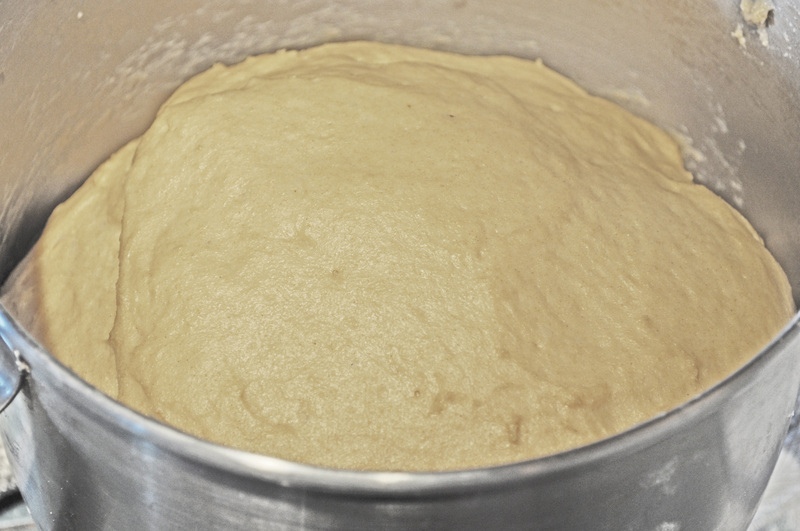 Now you must be patient and allow the dough to rise in warm place for an hour or two. Cover it with a towel to keep it from drying out. At the end of two hours it should look like this. 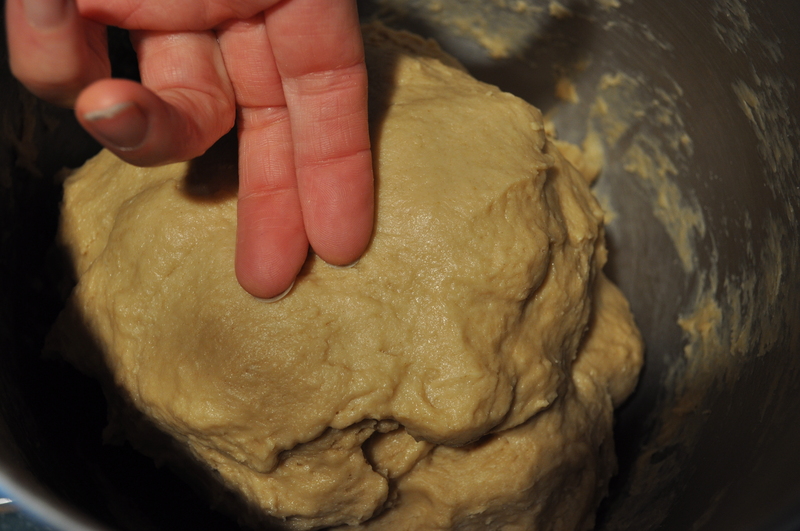 Now punch the dough with your fist and allow it to rise once more. Here it is after the second rising. 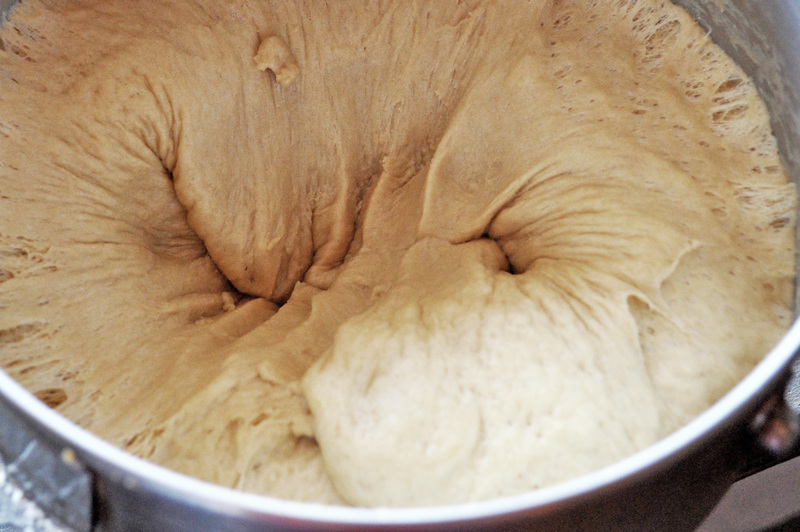 Take it out of the bowl and divide the dough in two. 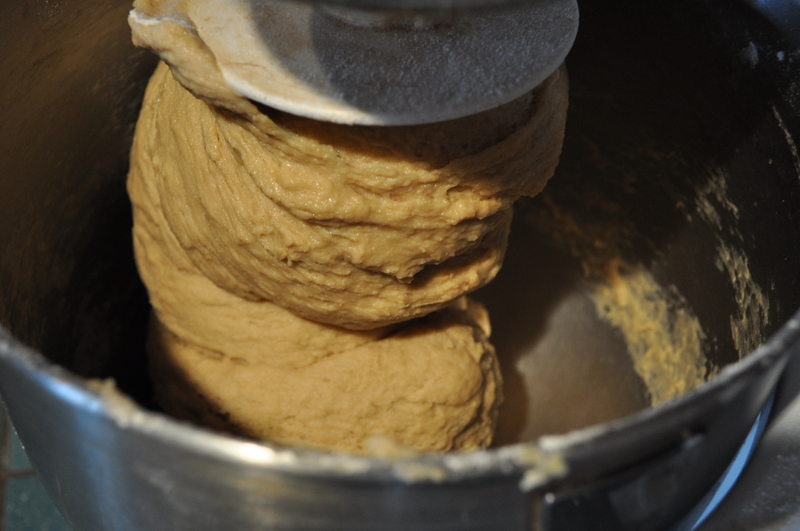 The dough now just needs to be formed into a loaf. This is accomplished by flattening the mound and then folding it into thirds. 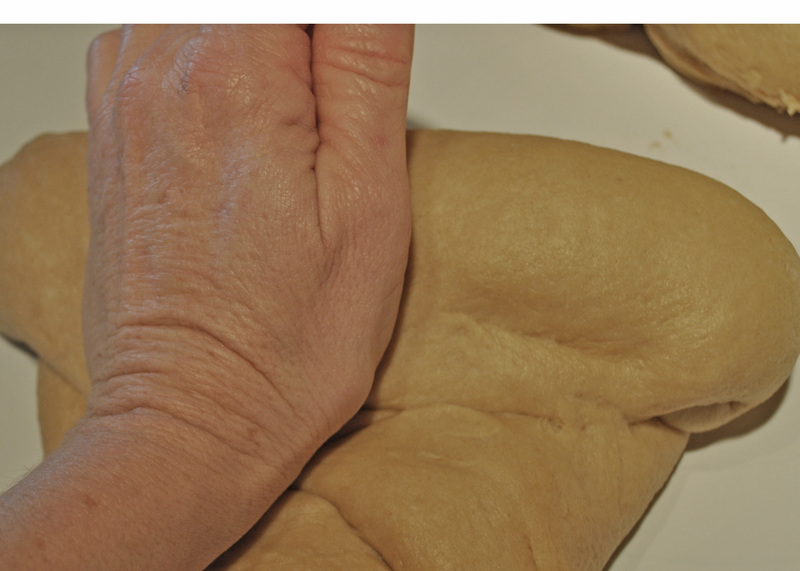 Use the ball of your hands to mold it into a loaf shape. Grease two bread tins and place the dough in the bottom of the tins. These tins once belonged to my grandmother. I use them and think of her affectionately every time. Turn the oven on to warm to 350 degrees and allow this to rise to the top of the pan. Or let it rise over the top of the pan. Then bake for 30 mins. Let it cool some and slice into it. 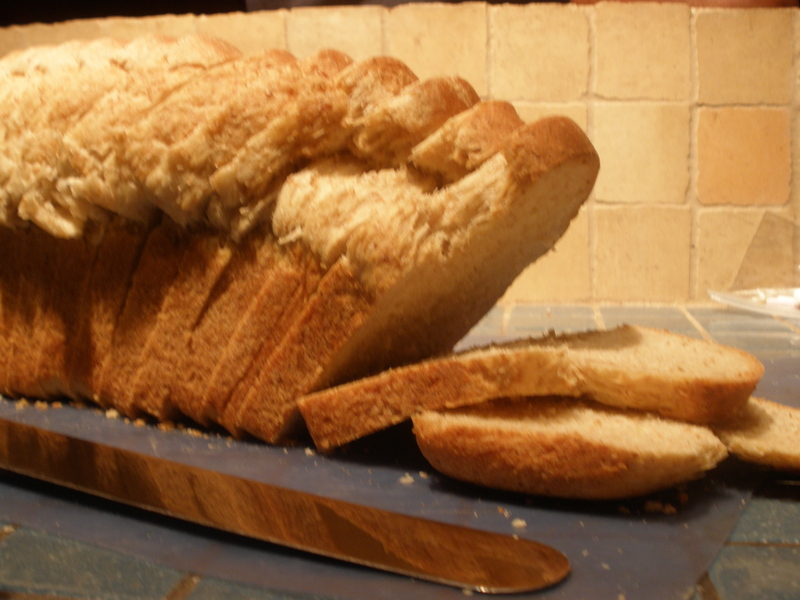 We eat half the loaf before it is even cools.